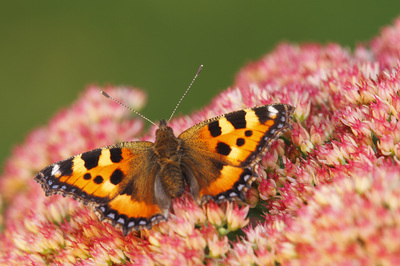 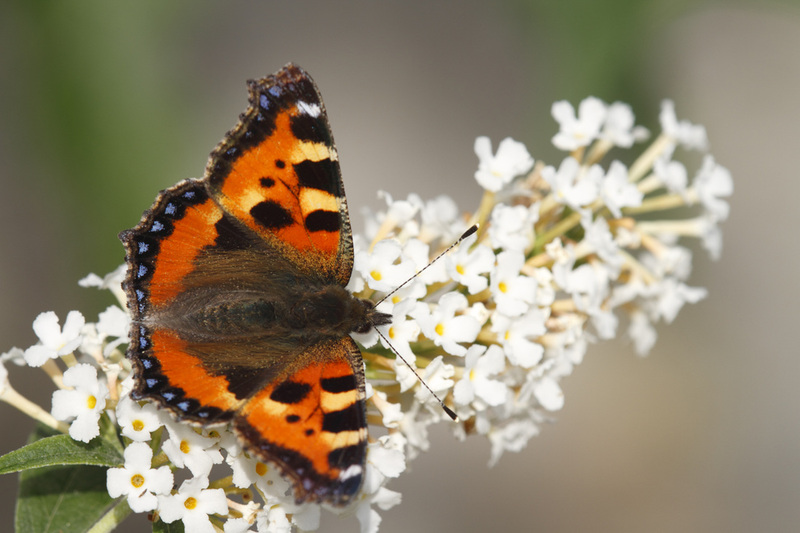 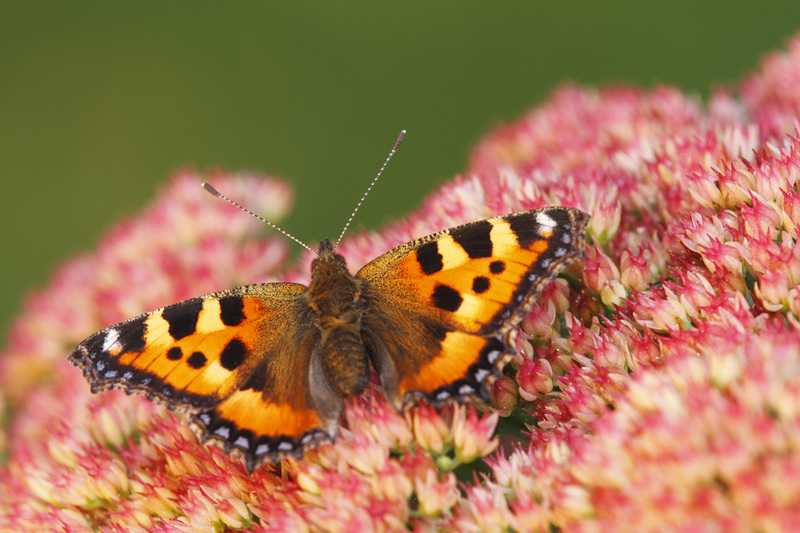 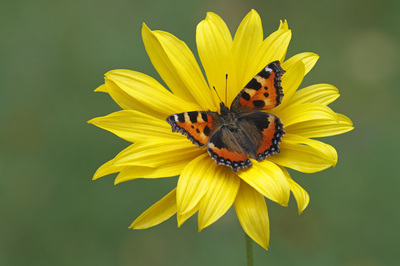 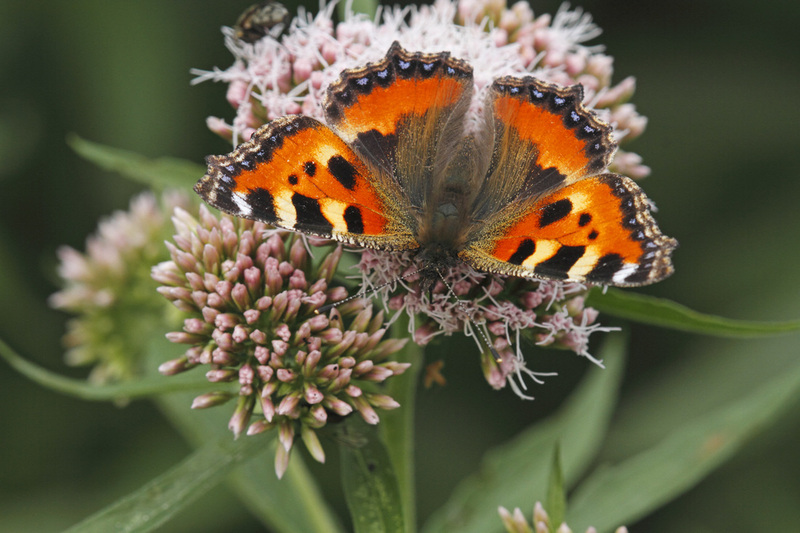 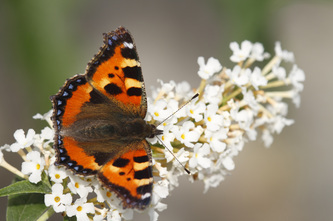 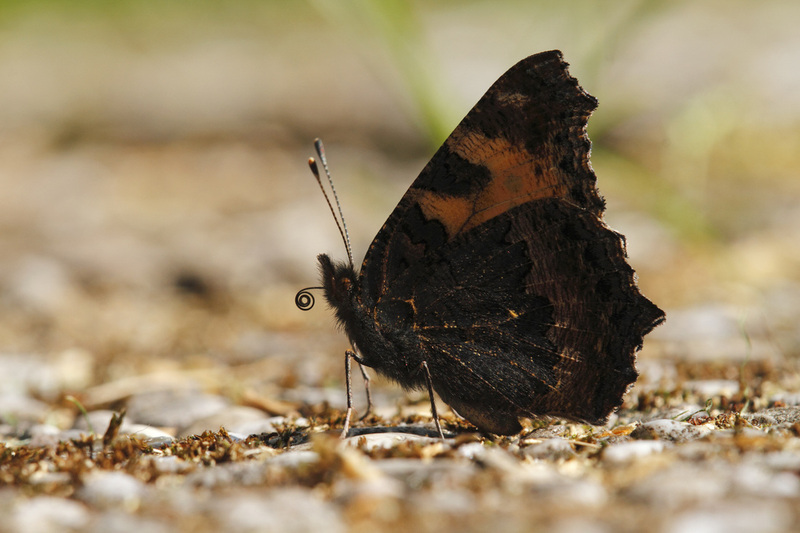 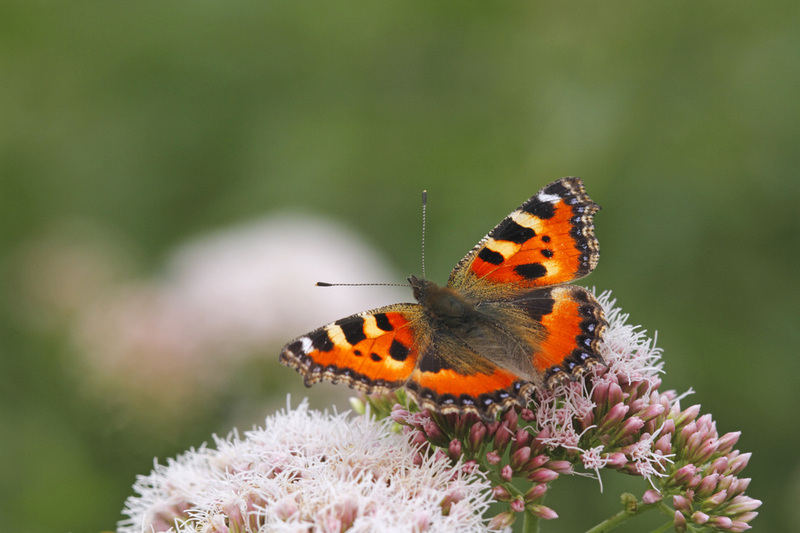 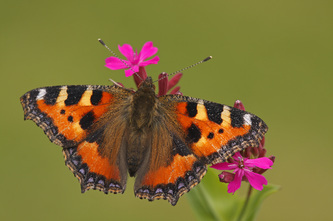 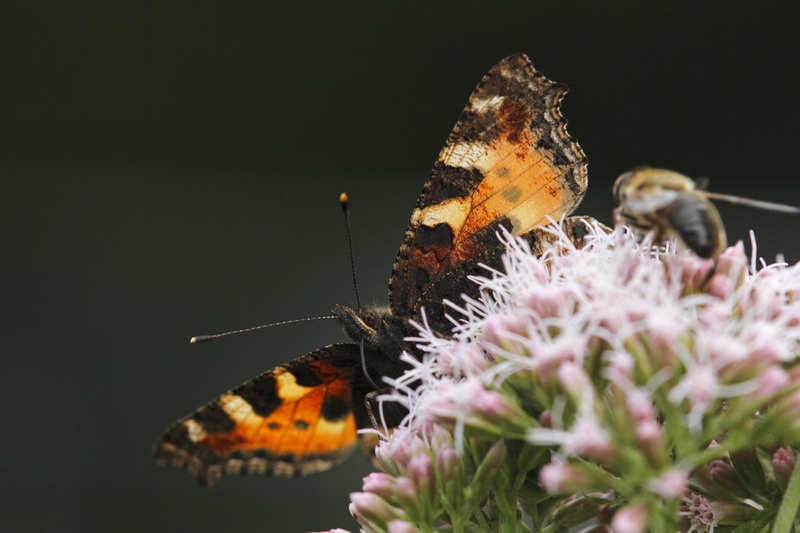 The ground colour of the upperside is a rich orange or brick-red, with a blue-studded black border to all wings. 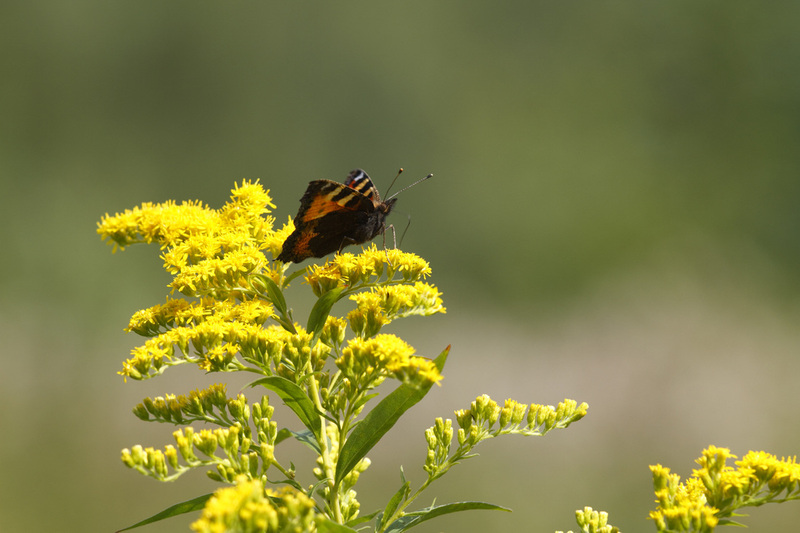 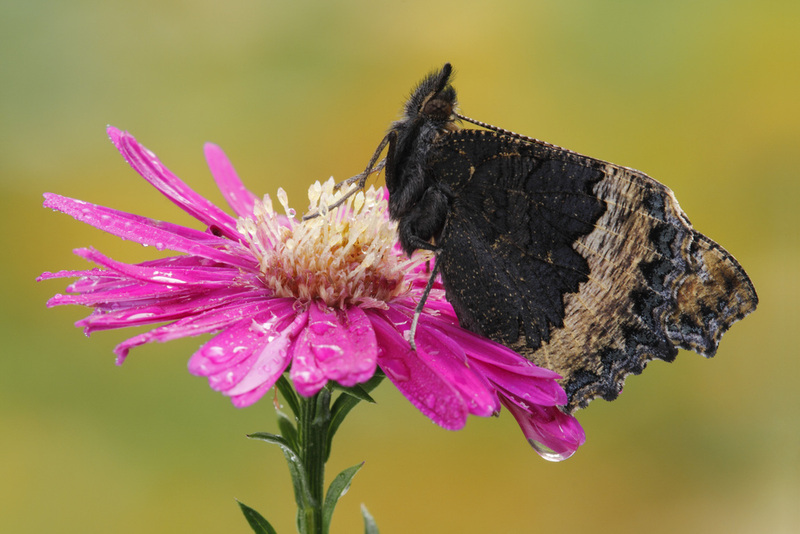 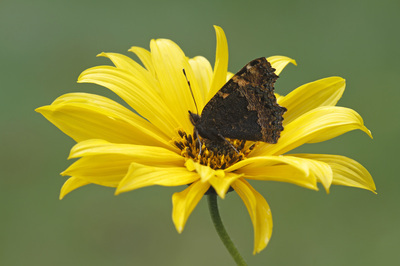 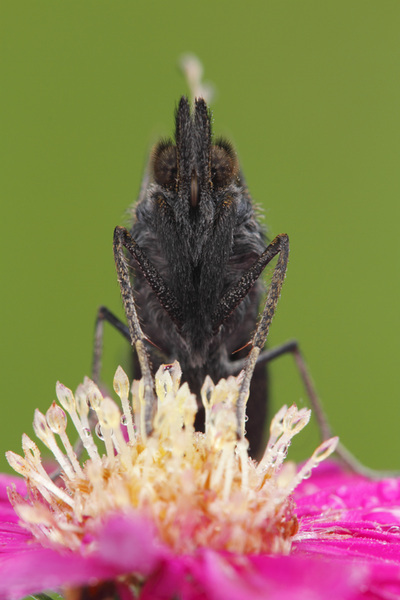 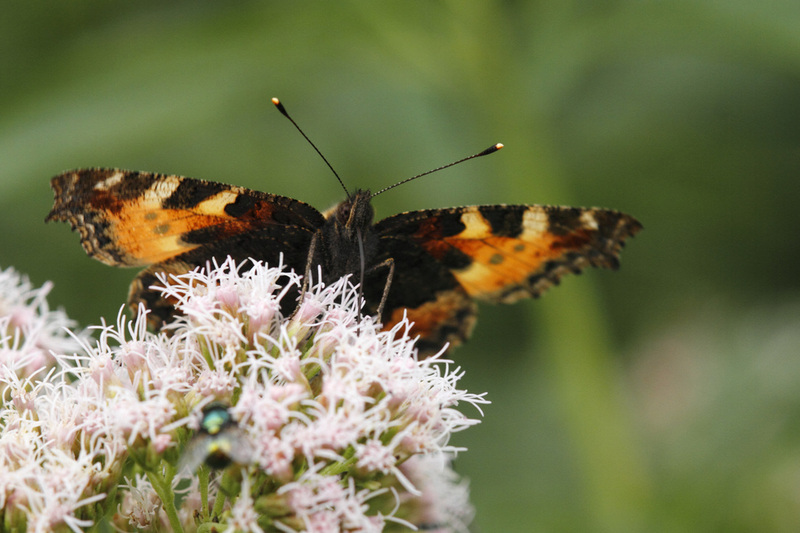 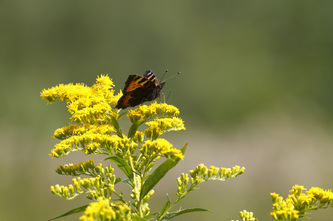 The front edge of the forewing has three conspicuous black patches with yellowish patches between them. 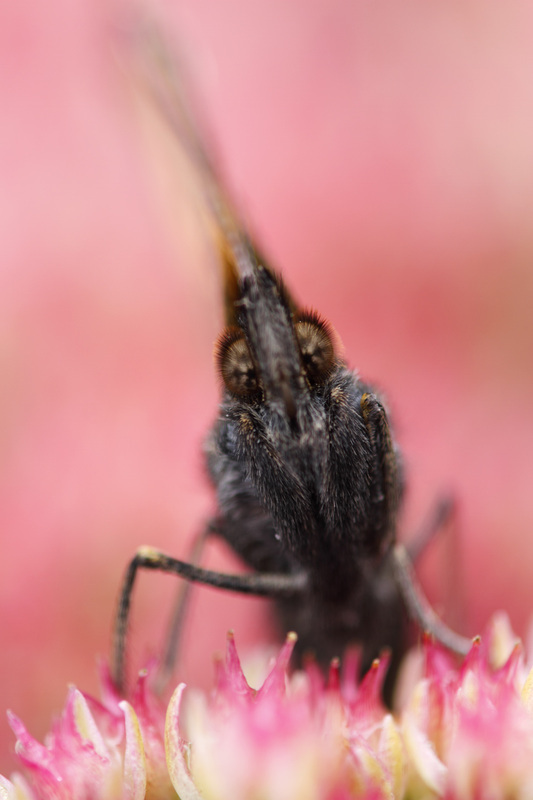 The basal half of the hindwing is sooty brown. 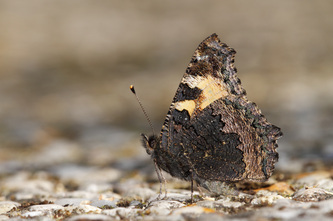 The undersides are mottled brown and with a submarginal band of blue spots. 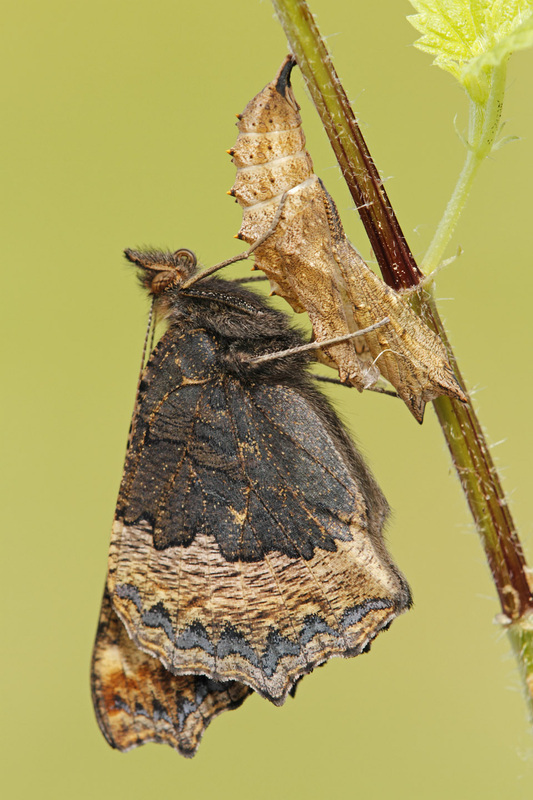 The overall effect is very much like the bark of a tree and it provides excellent camouflage for the resting or hibernating butterfly. 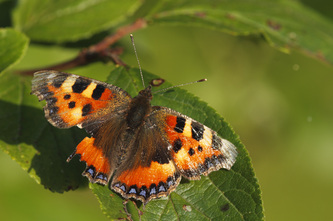 Flight from May to October in one or more broods. 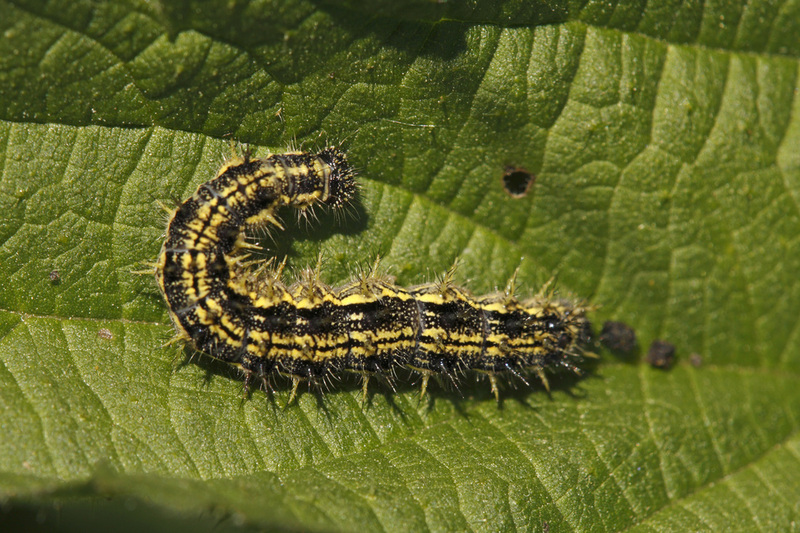 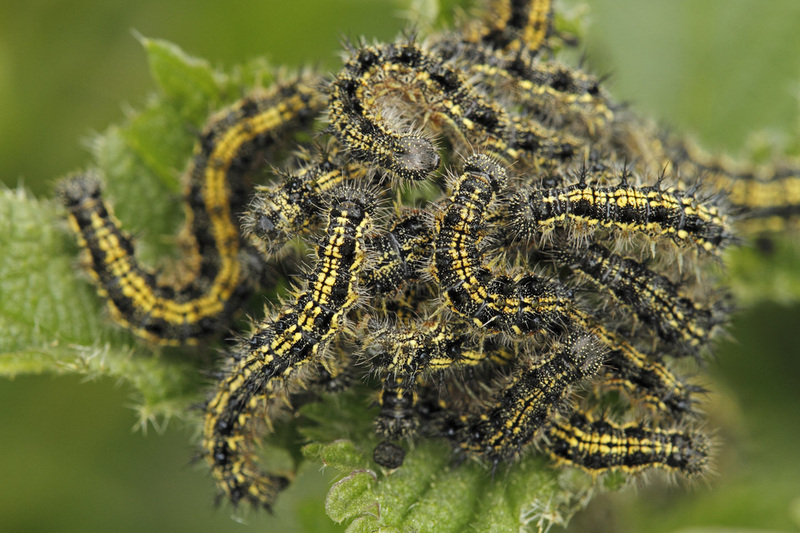 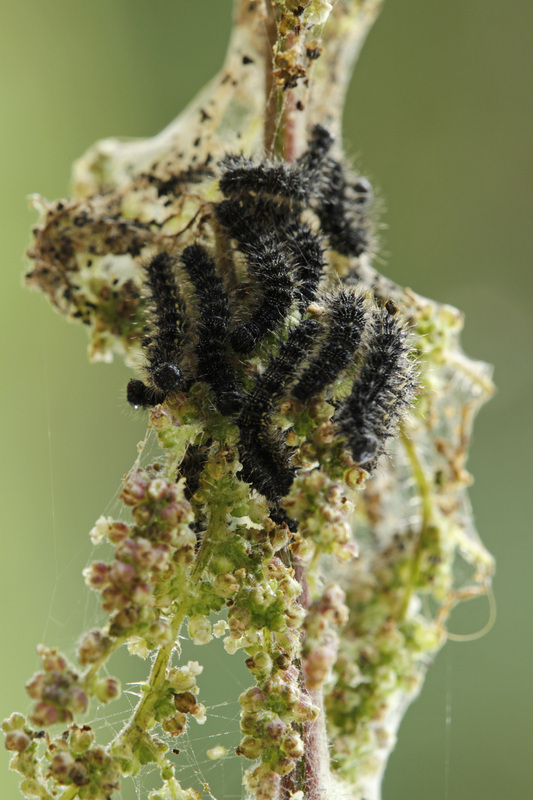 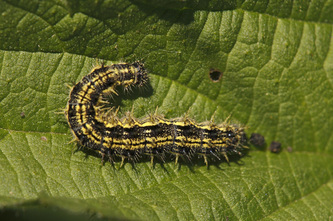 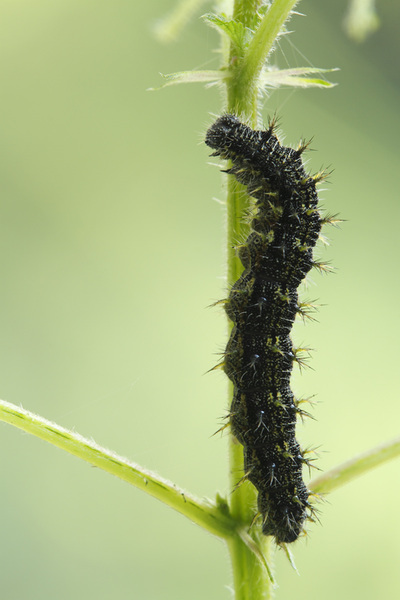 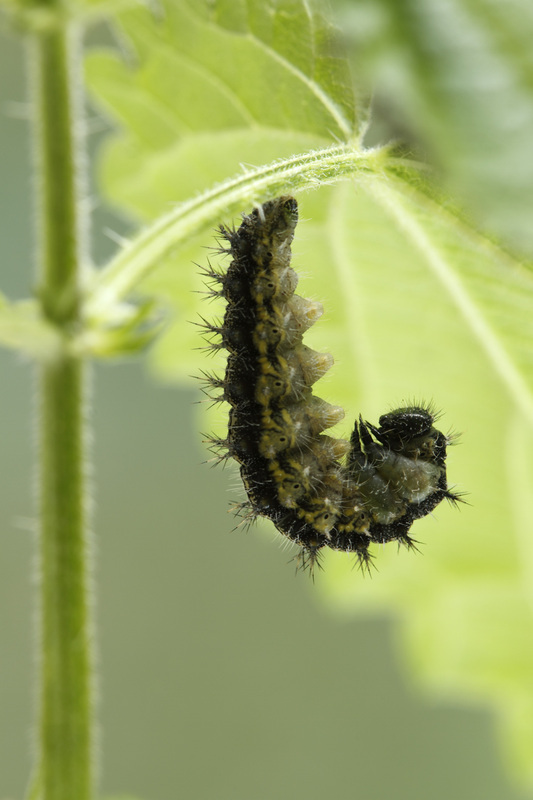 The larval foodplant is Stinging Nettle and Annual Nettle. 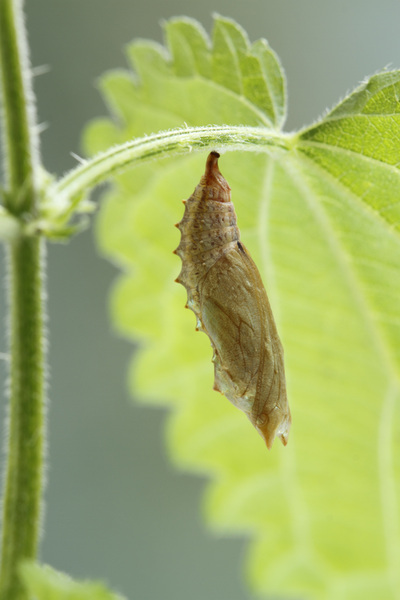 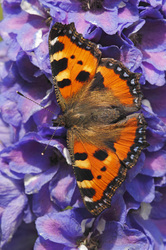 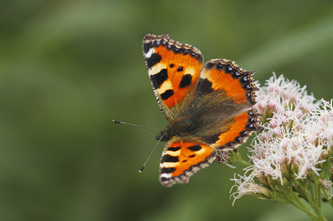 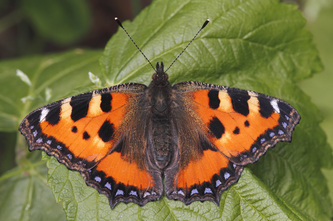 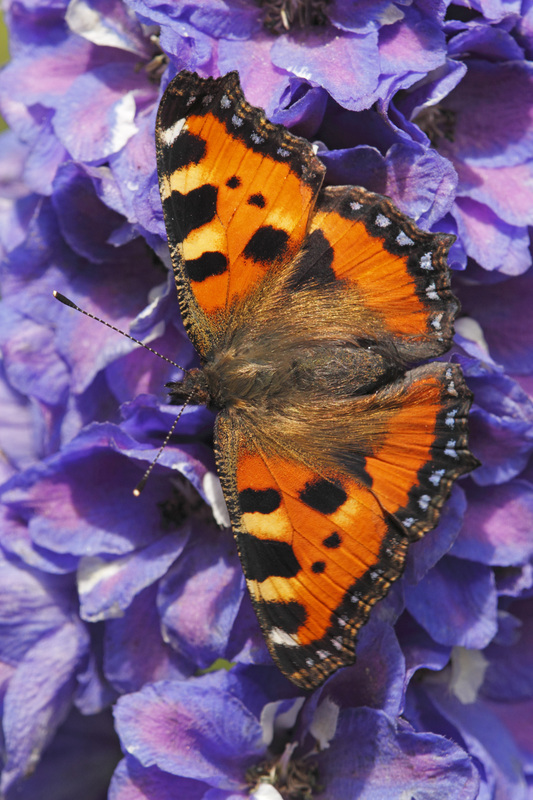 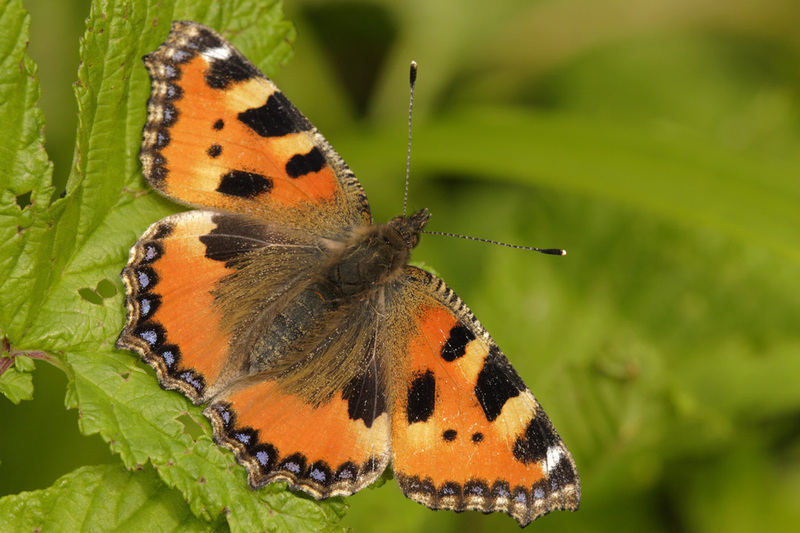 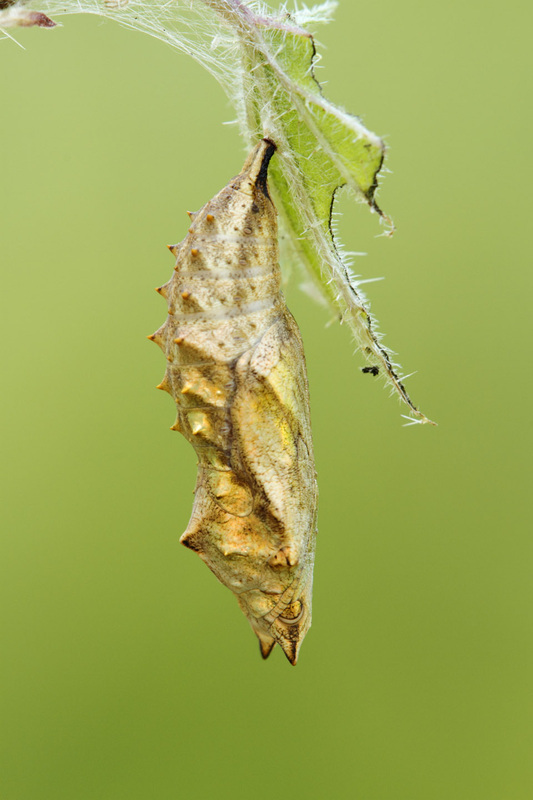 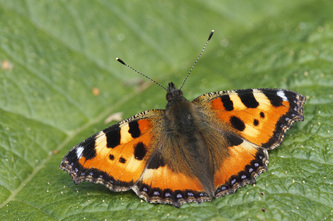 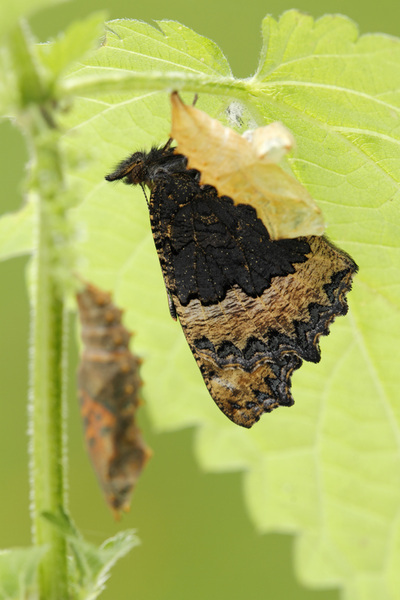 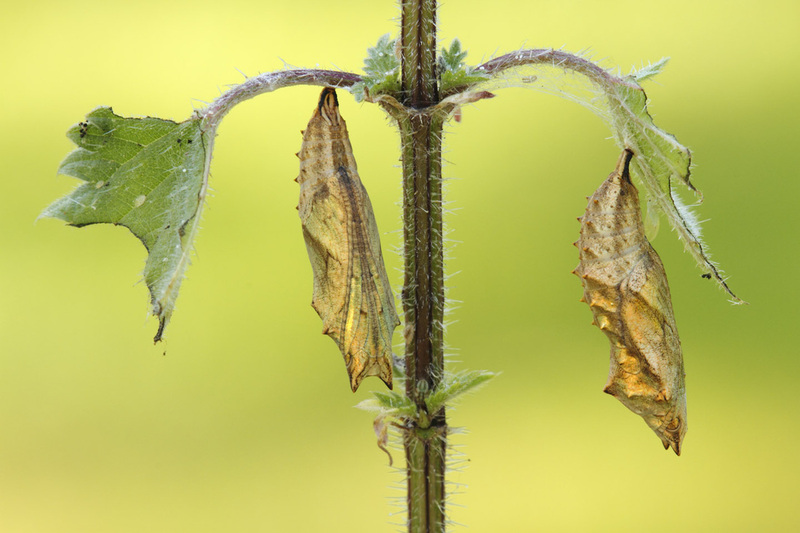 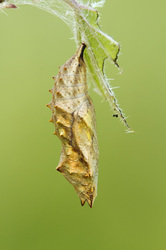 This link will lead to the metamorphosis of the Small Tortoiseshell.